Yikes! Reminds me of that 50's sci fi movie "The Beginning of the End"
Gorgeous macro shot. 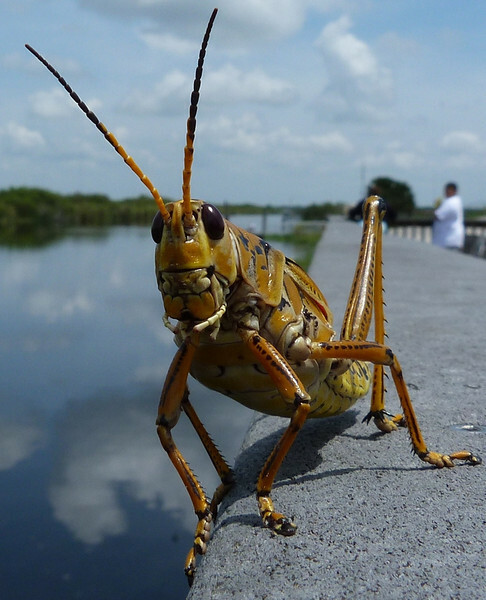 I love the grasshopper standing on the edge, it gives tension to the shot.